Mr Madiba has served on the following Councils and Circle Councils of the Law Society of the Northern Provinces/ North West Attorneys Council: President of the Law Society of the Northern Provinces, Vice-President of the Law Society of the Northern Provinces, North West Attorneys’ Council, Chairperson, Chairperson of the Legal Practitioners Fidelity Fund’s Finance Committee, Vice Chairperson of the Board of Control of the Attorneys’ Fidelity Fund, Chairperson of NADEL, Odi Moretele Branch, Member of NADEL, Member of the LSSA Council. Currently Mr Madiba occupies a number of portfolios ranging from Chairperson of the Fidelity Fund, Deputy Chairperson of North West Attorneys’ Council, Council member of the Law Society of the Northern Provinces, Chairperson of the Finance and HR Committee of the Law Society of the Northern Provinces, Member of the Judicial Skills Training Committee of the Law Society of the Northern Provinces and Exco member of NADEL Deputy Treasurer. CP Fourie is a member of the Board’s Executive Committee and a senior partner in a firm of attorneys practising in Pretoria. 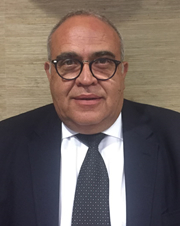 He is a former president of the Law Society for the Northern Provinces, a former co-chair of the Law Society of South Africa and a former chairperson of the Legal Practitioners Fidelity Fund. 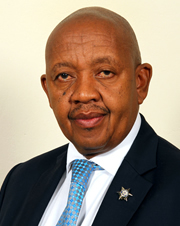 He is also a director of the Attorneys Insurance Indemnity Fund. 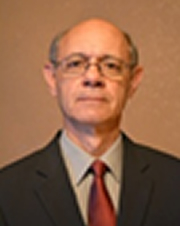 He served as an acting Judge on several occasions and is a commissioner of the Judicial Service Commission. Etienne is a practicing attorney and partner in the law firm Van der Merwe and Sorour. He holds a B Com (Law) from the University of the Free State and an LLB from same institution. Admitted as an attorney on 13 May 1982. Appointed as partner in the law firm Van der Merwe & Sorour upon admission and still practicing as such in the same firm. Specialising in civil and commercial litigation (Supreme Court of Appeal, High Court and Magistrates Court) and administration of deceased estates. 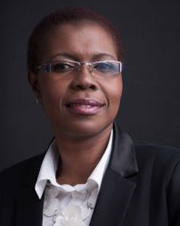 Mrs. Kheswa is currently a member of the Board’s Execuive Committee and the Managing Director and Partner at Tembe Kheswa Nxumalo Incorporated (TKN Inc.), formerly Ngubane and Partners Inc. since 2002. She was admitted as an attorney in 1997 and as a Conveyancer in 2001. She holds the following qualifications to her name: B Proc, LLB– University of Zululand, Masters of Laws ( LLM) – University of KwaZulu-Natal, Cert. in Advanced Insolvency Litigation – University of Pretoria, Management Development Programme – University of KwaZulu Natal, Cert. in Commercial Law – UNISA and Cert. in HR Management – UCT. was a member of IODSA and ICM.